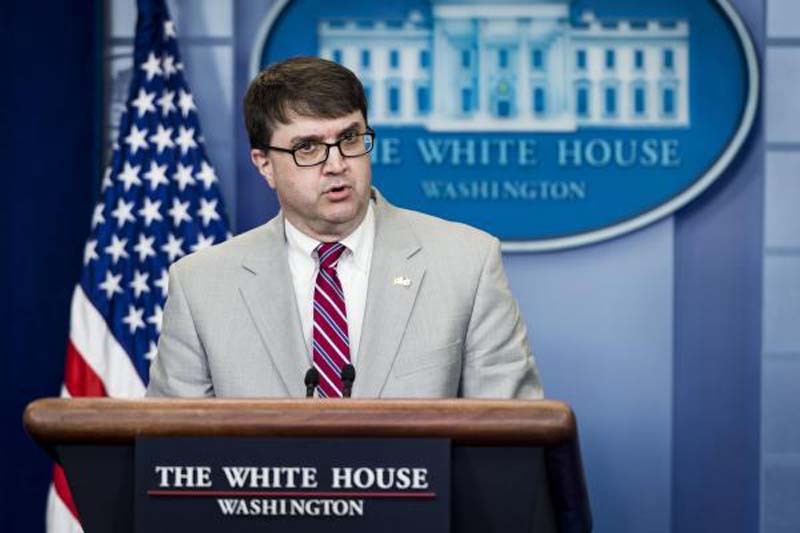 Acting Veterans Affairs Secretary Robert Wilkie will be nominated by President Donald Trump to permanently fill the position. "He doesn't know this yet," Trump said in a surprise announcement Friday at a White House summit on prison reform. Trump said Wilkie has "done an incredible job at the VA."
Wilkie, a longtime government official who has led the VA since March, requires confirmation by the U.S. Senate. He previously was Under Secretary of Defense for Personnel and Readiness, and an intelligence officer in the U.S. Naval Reserve. Trump initially nominated White House physician Dr. Ronny Jackson to the post after VA Secretary David Shulkin left. Jackson, though, withdrew his nomination amid ethics complaints that Jackson mismanaged his office and created a hostile workplace environment.